Tallahassee, FL Free Treatment Centers, Affordable Rehab Centers. 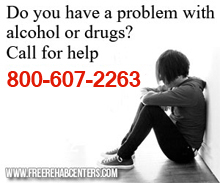 RADAR network state center Provides information and referrals for substance abuse treatment in Florida. This is NOT a free treatment center, it is a Sliding Fee Scale treatment center for those who qualify.